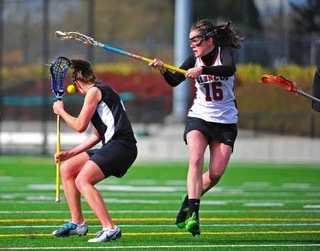 Not only are young girls and adolescent female athletes more likely to suffer concussions in contact sports, but they also take longer to recover. This is according to new research published by John Neidecker, a sports medicine physician with the Orthopedic Specialists of North Carolina, and his colleagues in The Journal of the American Osteopathic Association. The basic finding was that it took girls twice as long as boys to recover from a first concussion. Other recent research also has shown that in female athletes, it can significantly longer for the symptoms of concussion to materialize, and that these symptoms differ from the symptoms experienced by male athletes. The research is still unclear in terms of the role of any preexisting conditions play in the time it takes for females to recover. Some of those conditions include previous migraines or a history of depression or anxiety. Until there are definitive tests that can define when a concussion occurs, and can measure when the brain has recovered, the critical issue is that whenever a concussion is suspected in a young athlete parents, trainers, coaches and physicians must all be involved in assessing symptoms and tracking return toward normal. Because, multiple concussions put any athlete at greater risk of long-term damage, the determination of “safe return to play” may be even more critical for female athletes who still exhibit symptoms long after the initial injury. Hyperbaric oxygen therapy is an established safe and effective treatment for brain injury that speeds healing and should be considered for any young athlete who suffers a head injury. The information provided does not constitute a medical recommendation. It is intended for informational purposes only, and no claims, either real or implied, are being made.